In speaking with vendors we realized that the BIGGEST problems vendors have is figuring out how to turn your samples into sales, or at minimum how many of your samples converted into sales, and what the consumer thought of the product. Typically, when a vendor hands out a sample, there is no data given back to the vendor, which means you, the vendor, are left in the dark as to what customers think and whether or not a sample converted into a sale. Vendors know that samples are important to sales and are factored in as part of the marketing budget but vendors are having difficulty figuring out what happens to the person using the sample after they get it from the vendor. Do they like it? How many samples distributed converts into an actual sale? Did the sample end up in the trash? Did my sample get in the hands of the right target market for use/sampling? Did the person getting the sample actually have an interest in buying full sized products or did they just grab your sample because it was free? RIPPEDience uses real data from real consumers specifically in your target market to produce real results to help you drive superior growth. We help to provide solutions to measure the impact of marketing on sales. Our goal is to help you better understand or know which marketing vehicles or products would drive the best return for your brand? To get the most out of your media spending, you need analytics that uncover what’s working and to be informed on what to do next. Our advanced analytics provide the ability to increase growth and marketing return on investment (MROI). In our experience, the best way for business leaders or supplement manufacturers/vendors to improve marketing effectiveness is to integrate MROI options in a way that tracks consumer needs and wants for better over all understanding of the marketplace directly from the consumers themselves. A prerequisite in shaping an effective MROI portfolio is understanding your target consumers’ buying behavior. That behavior has changed dramatically over the years as the consumer buying process is more dynamic and consumer behavior is subject to many different moments of influence. A marketing approach based on analytics statistically links marketing investments to other drivers of sales and often includes external variables such as seasonality and competitor and promotional activities to uncover both longitudinal effects (changes in individuals and segments over time) and interaction effects (differences among offline, online, and—in the most advanced models—social-media activities). Our goal is to help aggregate the number of target consumers reached, cost per unique touch, and realize the quality of the engagement. With RIPPEDience.com we put your samples in front of real buyers ONLY. Our subscribers pay us monthly to receive samples and they fill out a health profile questionnaire in order to get samples specifically catered to their needs and wants. If someone is spending money and taking the time to fill out a health questionnaire they are obviously interested in finding products that will work for them. And this in turn translates into putting your samples in front of real buyers. Here your spending on digital media or samples can be refined to pinpoint the activities or products within broad categories—such as search or display—that are likely to generate the most conversion for your business. We use special algorithms and technological mechanisms in order to place your product in the hands to most appropriate consumers. For example, your samples would be wasted if you were giving out weight gainers to a 120lb female looking to lose weight. But based on her profile questionnaire, we would ship your weight gainer to someone who wants it, and send this girl your pre-workout and fat burning products instead of your weight gainer. We help categorize your samples and ship them to real buyers based on their needs or wants, which in turn should materialize into more productive distribution of your samples for increased sales. RIPPEDience.com’s business model includes a goal that is also designed to help you plan and track trends to say ahead of the market and continue a successful growth rate. You can lean on RIPPEDience.com to help produce Survey’s and Reviews for future product releases. Our marketing platform gives you an opportunity to interact with consumers in a way that can help you gain consumer knowledge and reception to potential products. We are more than a marketing arm for your business, we are also your R&D department. The estimated cost for a Fit Expo vendor booth is roughly $1,600 – $2,400[i] for a small 10’ x 10’ exhibit booth that gives you an exposure to roughly 60,000 attendees over a 2 day period. [ii] And the estimated cost for an exhibitor booth at The Olympia is $3,500 – $3,850 per 10’ x 10’ exhibit space and these costs do not include the costs of an Exhibitor Kits you might be renting or using. [iii] The exposure at the Olympia is an expected 55,000 attendees over the course of these 2 days. This sounds great, but what if you could reach more people, in your target niche, more frequently than a 2 day expo, and you get it for free. [iv] Don’t get us wrong, you should still do these industry specific events, but why not add another opportunity to be more successful. We pride ourselves on being the 24/7/365 online fit expo. We say why limit yourself to a location when you can get national exposure on a daily or monthly basis to the millions of online attendees. With RIPPEDience.com your products are posted on our website for purchase and ratings. You also have an opportunity to get your product in front of these online attendees more frequently. And in marketing, frequency is the important branding factor. 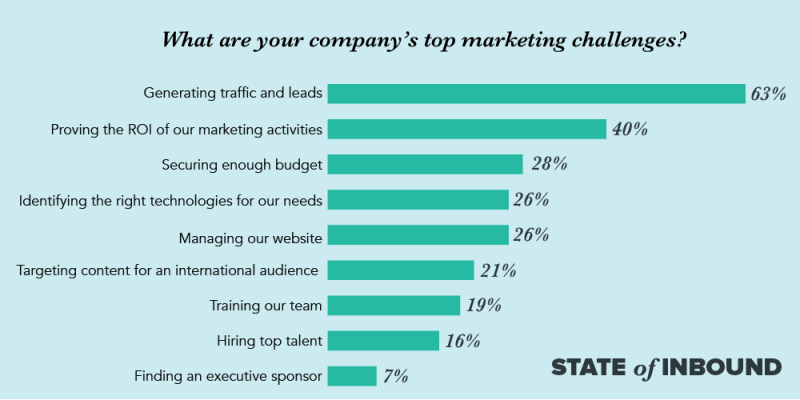 The entire goal behind RIPPEDIENCE.com’s marketing analytics is to solve and resolve the top two marketing challenges listed above (generating leads and proving your ROI on your samples). 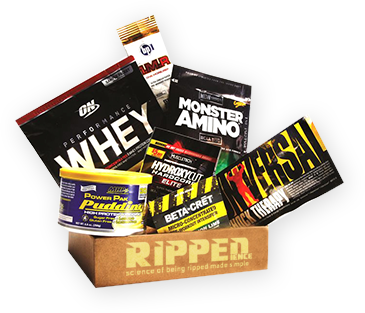 Instead of going to a fit expo booth, or retail store and asking for samples as customers look for their next supplement product, RIPPEDience customizes roughly five or more supplement samples, and sends these supplement samples to paying subscribers based on their specific needs or wants. The samples are customized based on probably the most detailed Fitness/Nutrition profile questionnaire in the market place. Subscribers complete this detailed questionnaire when they sign up at RIPPEDience.com. For around $10 a month, customers receive an excitingly-wrapped set of samples in a shaker bottle or box shaped like a dumbbell or kettle bell, or other similar box in order to grab more excitement from the subscriber. The key here is that we place vendor/partner products in the hands of real buyers, or more specifically, people with a vested interest in buying supplements. After all, if they are paying us $10/month for samples then you can guarantee that these are real buyers looking and willing to spend money on supplements that interest them. Our business model gives both sides information. We give customers information about products and our partners/product manufacturers information about customer preferences and future trends. We track client responses to our profile questionnaire and how they use our site by means of a specially calculated algorithm in order to recommend the products best suited to the customer preferences, which, in turn, generates more sales because we are matching customer needs with the products to meet their needs. We differentiate ourselves by focusing on the discovery aspect. We help guide consumers through a cluttered market, by helping to open their minds to new products and introducing the customers to categories, brands and products they would not have otherwise tried. In the end this means more sales for your supplements. Unlike other subscription companies with supplement boxes in the mail, which just gave customers a regular sampling of products, we not only tailor customer needs with appropriate products but we also have an e-commerce store where the customer could buy the full-size versions and maybe even schedule for an automatic refill of the supplement that is favored the most by customers. We even pay our customers for their referrals and feedback. Data is our best friend, we not only use the information we gain from our client database to customize the contents of the boxes, but also to provide our product partners with reams of valuable information, in turn producing a qualified set of market leads for buying your products. And we do this all for free to you, except that we ask you to donate trial-size or sample size products for us to distribute to these qualified market leads in an attempt to sell your products. We are an added marketing team pushing your products without the costs of hiring employees or paying out employer taxes or worker’s comp. We make our money elsewhere. And you benefit from receiving expensive analytical data and trends related to your products for free. We give you insights into how customers react to your products. We create forms or embed customer/visitor management data analytics in such a way that we can begin to build personal profiles of each of our customers and aggregate this data on a regular basis to better understand the customer segments that are connecting with our site and your products. Over time, you might see more meaningful target market segments emerge within the data that our customers share with us. In addition to the customer profiles that subscribers build themselves, we will review the overall site analytics to identify what products and items our visitors are most interested in. 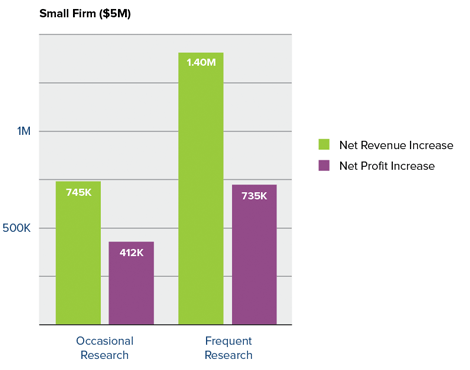 We use our data to scale our sales for your benefit. For example, we dig deep into what our site visitors are reviewing and what products are most popular, and repackage these items as part of monthly content around trends and top picks. We look to build stronger relationships with suppliers, such as yourself, by taking specific product ranges that are most popular and workout exclusive deals and discounts with you for client access to products that match our customers’ interests. We use the data from our profiles and from visitor behavior analytics to help determine how we can repackage our product catalog and content in new categories to encourage further browsing. We try to pull back from product categories, and instead focus on the personas that we are identifying as being important customer target segments for the sale of your products. We spend money and time running analytics and sharing data with you in order to sell your products. And it is all for free to you. We only ask that you donate trial-size or sample size products for us to distribute to these qualified market leads in order to push your products to a targeted market. Thank you in advance for adding our marketing team to your sales strategy, and allowing us to work for you and earn you money doing nothing different on your side. For more information on how we can increase your sales with no cost to you please call the RIPPEDience team toll free at (844) 4 RIPPED (844-474-7733), or fill out the form below and the appropriate partner relations personnel will contact you to discuss your marketing needs. [i] SOURCE: https://www.thefitexpo.com/ 2017 Anaheim, California, and Los Angeles, California posted rates. [iv] Free is not really free. We do ask for samples, which we know does have an added cost associated with it. But we place those samples in a more accurately categorized group of potential buyers. Other than the cost of samples we do not charge any marketing fees to the vendor to help market the products. We view the samples as a donation to the research, as a contribution to help produce accurate market research data in the supplement industry. 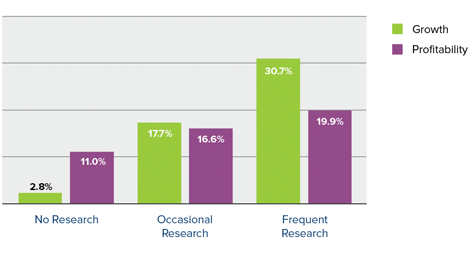 [ix] SOURCE: https://hingemarketing.com/blog/story/cost_and_benefits_of_market_research – while this survey has to do with the professional services industry, we believe that it is a good indicator related to the benefits of marketing analytics in general.